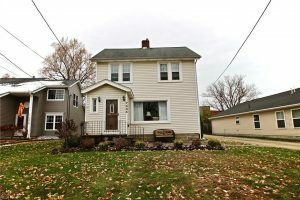 Gorgeous, well maintained home on a quiet street in the heart of Mentor. Plenty of updates and charm to be found in this lovely 1930 colonial. This home features 4 levels of space. The main floor hosts a family room off the eat-in kitchen, 1/2 bath, lovely dining room and cozy family room with a beautiful wood burning fireplace. The second floor has 4 bedrooms and a full bathroom with heated floors. Bonus room is on the 3rd floor. A great hideaway or room for hobbies. Don’t forget to check out the basement large glass block windows add lots of light! Updates include Furnace 2012, All windows 2011, Hotwater tank 2014, Bathroom upstairs remodeled in 2014.